Before we began, the courteous wait staff showed us how the do hot water towels in Sariwon. 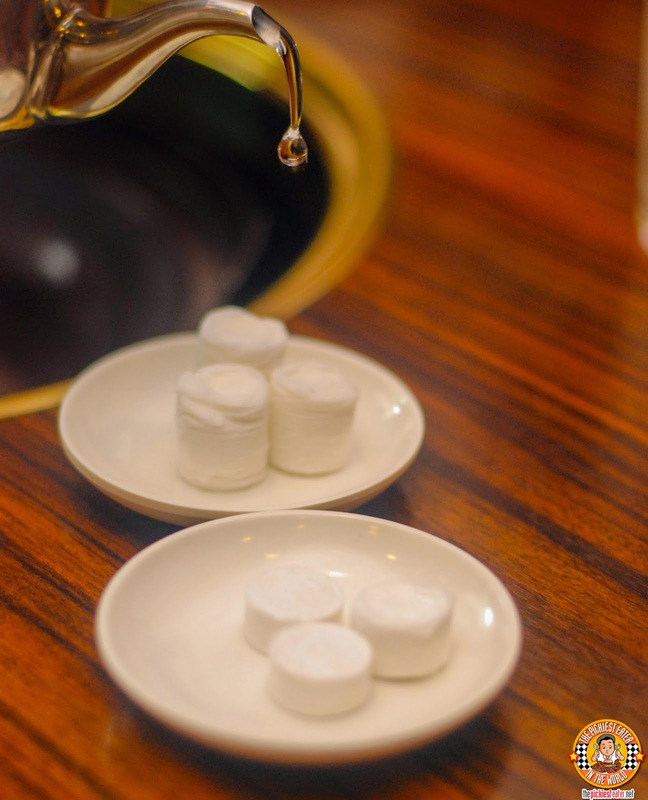 Three small marshmallow looking pills are served on a small platter and when you pour hot water on it, it rises into a small toilette. Pretty cool stuff! 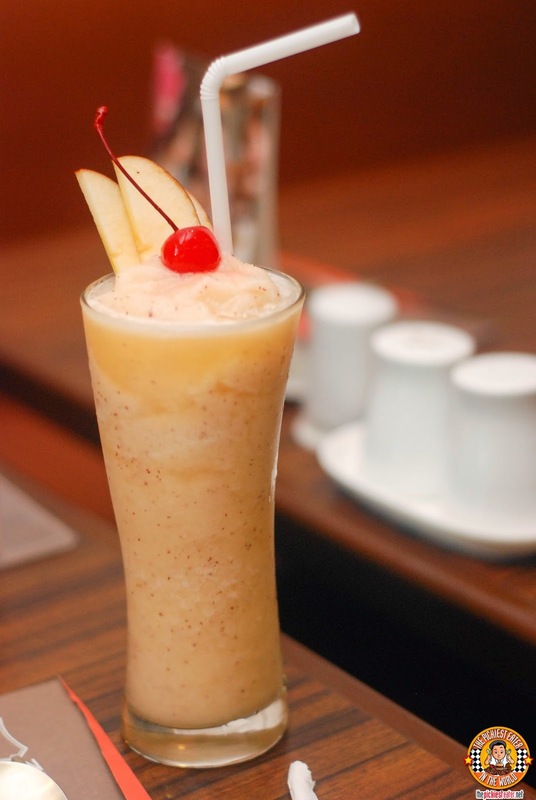 hehe..
Before the meal began, I was served a refreshing Banana-Apple Shake (P120). I loved this, and would definitely order it again when I go back. Like most Korean restaurants, you are given complimentary Korean appetizers, aka BanChan. 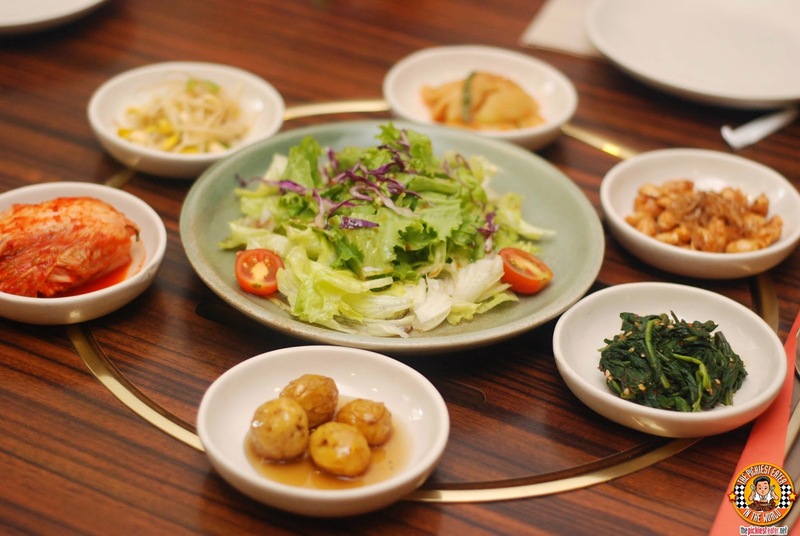 Included in the appetizers are the Korean staple Kimchi, Bean Sprouts, Radish, Spinach, Peanuts, and my favorite of the lot, Marble potatoes. In the center is Sariwon's House Salad. 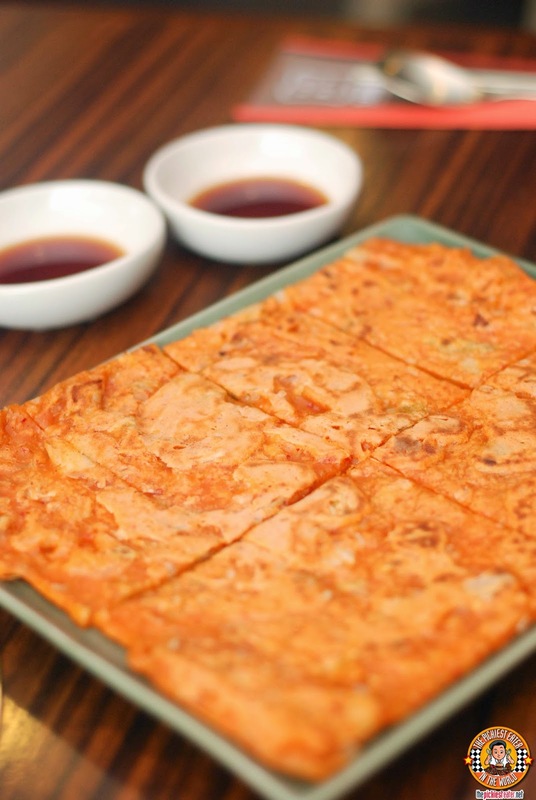 One of the best things I ate in Sariwon was the Kimchijeon (P 280), which is a Kimchi infused Korean Pancake. It was soft, and chewy, and had just the right amount of flavor to get me addicted to it. I don't eat Kimchi so I was surprised that I liked this as much as I did. It tastes nothing like it, in case you were curious. I was excited to try Sariwon's Japchae (P 380) and it most certainly did not disappoint. The glass noodles had a gorgeous spring to it, giving an ideal foundation for the dish. Mixed into the noodles were an assortment of vegetables and highlighted by stunning slices of pork. 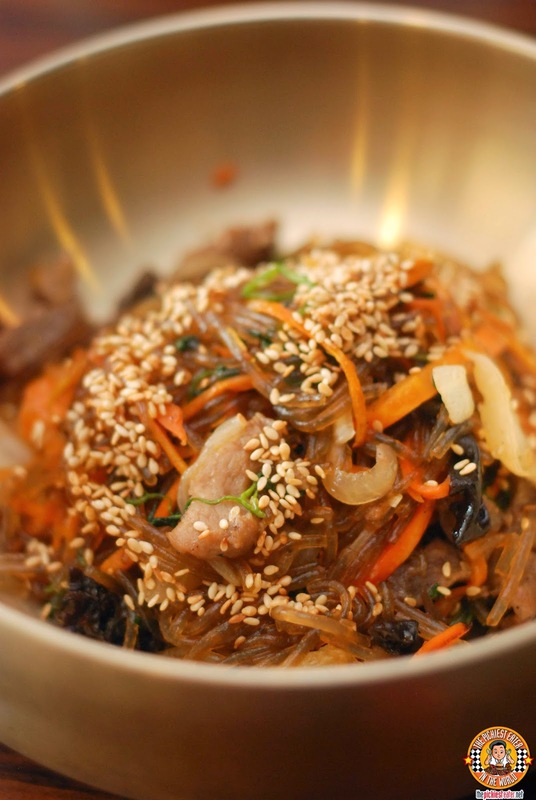 The dish had the ideal balance of sweetness to saltiness that I look for in my Japchae. Even at first glance, it was clear that the Soondubu Chigae (P 300) would pack some heat to it, and I was right. The burst of orange hues brought about by the chilis was more than just a dead giveaway, it set the tone for the the fiery texture of the dish. Filled with Clams, Tofu and minced Beef, I tasted a little bit, which was more than enough for me to gather that I was at risk of scorching my tongue if I tried any more. 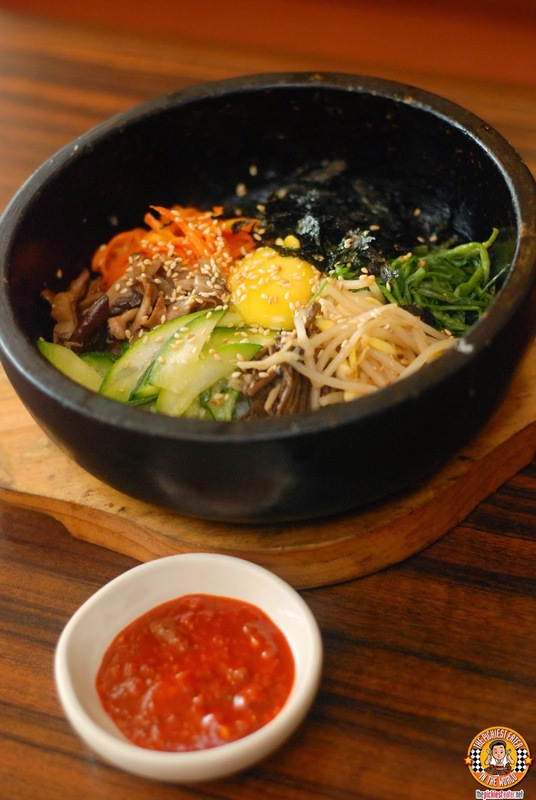 Another popular Korean dish that we tried at Sariwon was Dolsot Bibimbap (P380). A medley of Vegetables, such as Carrots, Cucumbers, Mushrooms and Bean Sprouts, are placed on top of bed of steaming rice in a hot stone bowl, with a raw egg perched on the center. Once mixed all together, the stone bowl allows the egg to cook through. 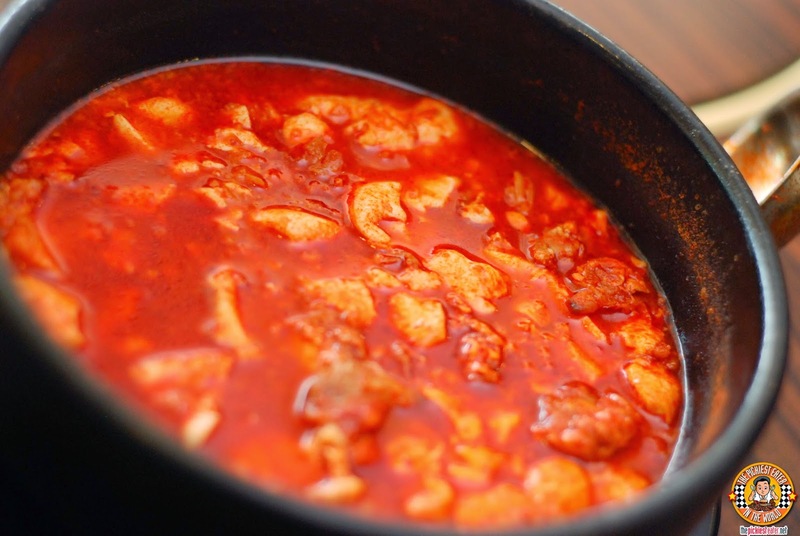 Mixing in the Chili Bean Paste gives the dish even more vibrancy. I was totally blown away but Sariwon's Galbi Jim (P 780). This tasted phenomenal. Though the slices choice beef were incredibly tender, the star of this dish for me was that delectable sauce, that goes perfectly when poured on top of the steaming white rice. The sauce had an amazing sweetness to it, with gentle notes of heat that tingled my palate. The price may be a tad daunting, but bear in mind that it can feed around 2-3 people. I wasn't about to leave Sariwon without trying their famous Galbi (P 695), which has been considered by a lot of my food blogger friends as among the best you can get without having to book a flight to Seoul. The marinated USDA Choice Beef Short Ribs were wonderfully juicy and tender, and it was a near religious experience watching it being grilled right in front of me. The sizzle of the meat when it hit the grill was sheer music to my ears (which was good because in reality, I think "Gentleman" was blaring on the speakers hehe). The aroma the meat emitted made me consider grabbing the meat and eating it raw. In case that ice cream sandwich shaped like a fish didn't tip you off, Koreans make weird desserts. I'm not saying its not delicious, i'm just saying the concepts are usually weird. Take the Patbingsoo (P 180), for example. 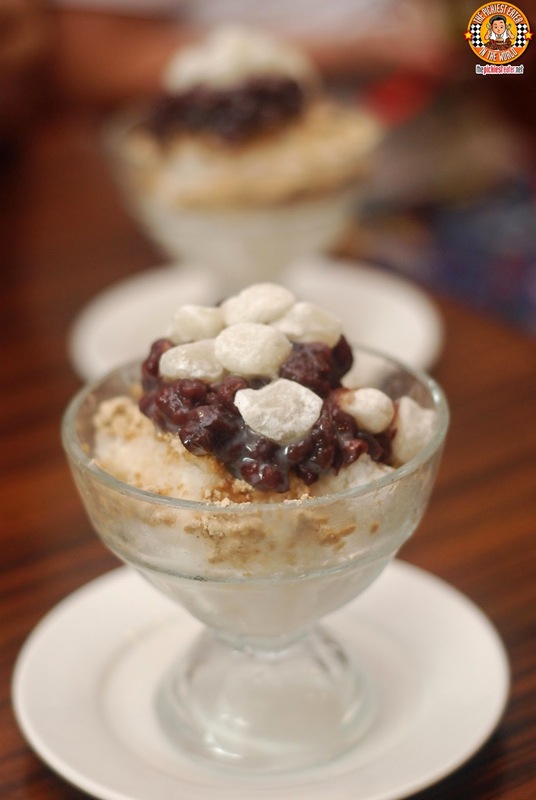 I would not ever think of adding some Red Bean, Ground Nut Powder with some Mochi Balls and Milk to shaved ice. It all sounds like it should not work, but for some strange reason it actually does. The Sikhye (P60) could be considered Exhibit B. 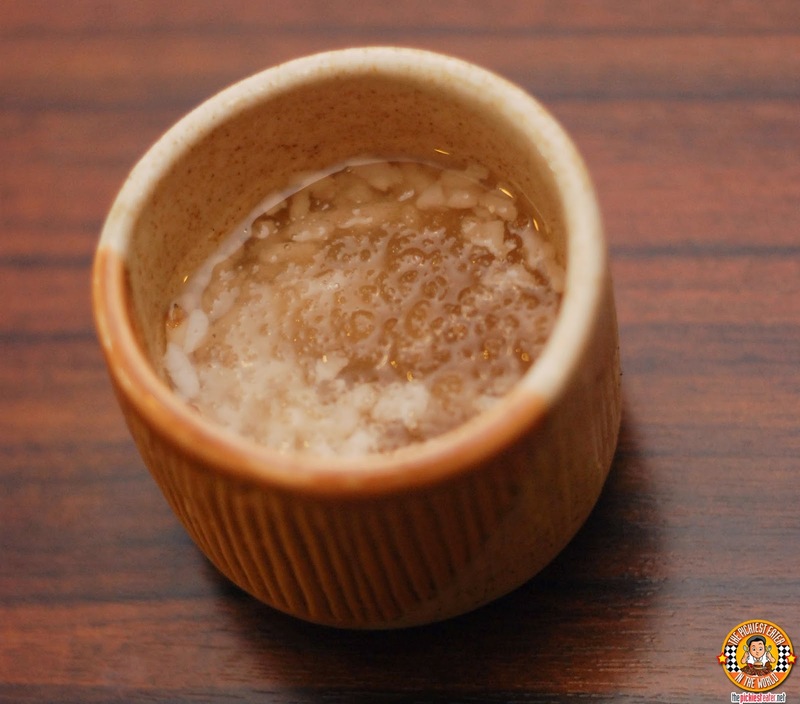 This is a traditional Korean sweet drink, with malt and rice mixed into it. Texture wise, it felt a little strange to eat wet rice grains, but once you start gulping on the drink, you throw out any apprehensions out the window. 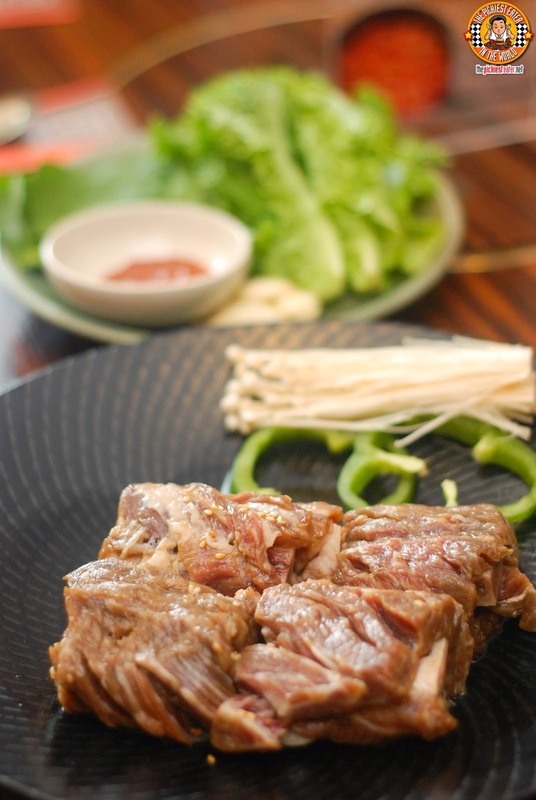 With its outstanding dishes that gets your taste buds as close to authentic Korean cuisine as you could get here in the Philippines, Sariwon is definitely a culinary cuisine that you should experience. The price may not be too friendly at first glance, but the portioning makes it good for sharing, so it might be more economical going as a group. Still definitely a restaurant worth visiting! 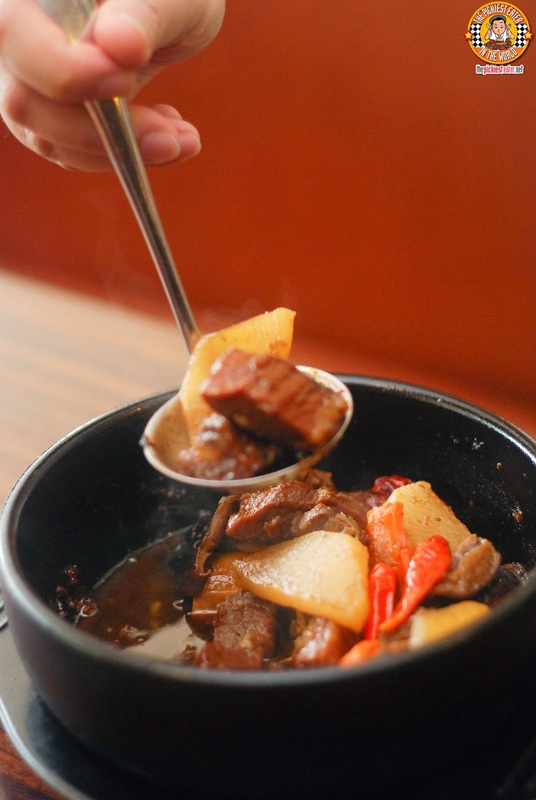 I must admit that I'm not much into Korean cuisine (and I dared call myself a foodie!) but your post made me think twice about giving this restaurant a shot. 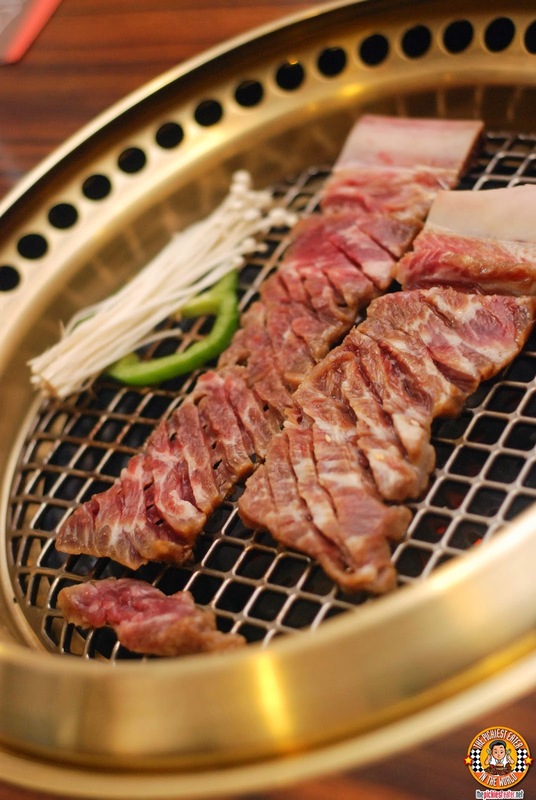 That Galbi looks incredible and can't wait to get my hands (or chopsticks for this matter) on it! hope you enjoy as much as I did, Honey!